Plant-based Protein Fans Across the U.S. are Giving World Peas™ Peatos a Chance. A new disruptor in the snack industry is driving consumers to the produce section to satisfy their crunchy, salty cravings. Pea and lentil-based World Peas ™ Peatos ™ is captivating consumer taste buds across the country thanks to its bold flavor and better-for-you benefits. Peatos provide the combined taste of “junk -food” with plant-based nutrition, delivering a no-compromise snack. They are unique in salty snacking and can be found today the produce section. Using pulses to create “junk” snacks is a game-changing revolution in snacking, according to founder and CEO of World Peas Peatos Nick Desai. 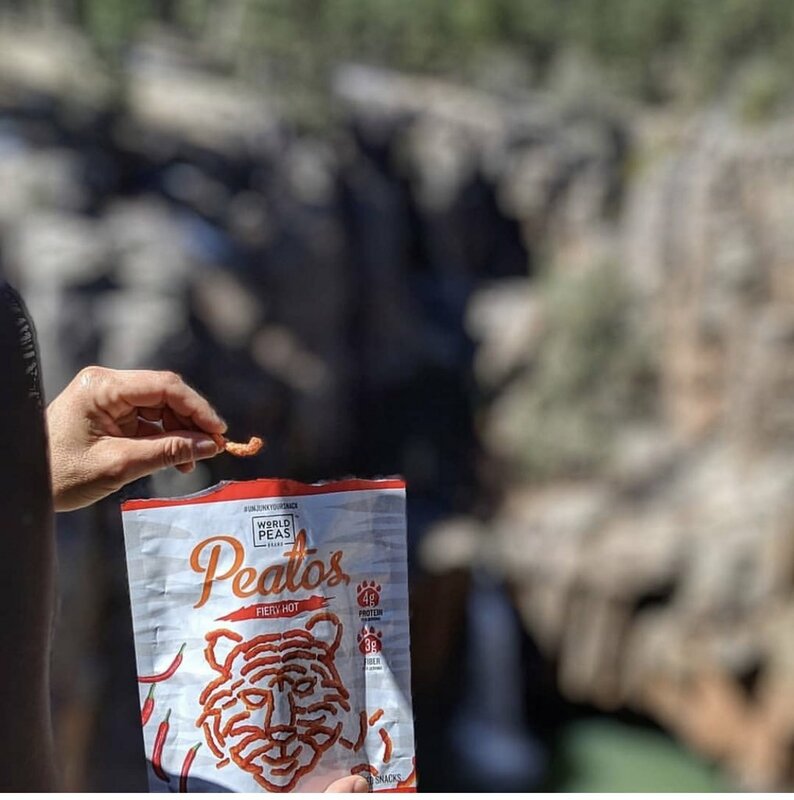 Peatos replaces the traditional corn base used in many popular “junk” snacks, with a nutrient-dense pulse base (peas and lentils), and still delivers the same orange, cheesy goodness in a crunchy texture making it a junk food-tasting snack with tons of benefits. As society demands healthier food items with no compromise in taste, especially in everyday snacks, companies like World Peas Brand are taking notice. Consumers are also getting behind the movement of “better-for-you and the environment” options. Legumes [or pulses], such as beans, lentils, and peas are the most sustainable protein source on the planet. They require minimal amounts of water to grow, they can grow in harsh, dry climates, they grow in poor nations, providing food security. They act like a natural fertilizer as well, capturing nitrogen from the air and fixing it in the soil. Thus, there is less need for synthetic fertilizers. These are the types of protein sources we need to rely upon more often, according to Sharon Palmer, a registered dietitian nutritionist, and plant-based food and sustainability expert based in Los Angeles. As society demands healthier food items with no compromise in taste, especially in everyday snacks, companies like World Peas Brand are taking notice. Peatos has twice the protein (4 grams) and triple the fiber (3 grams) of Cheetos® per serving. The crunchy, salty snack also boasts clean, non-GMO ingredients, has no artificial flavors, no synthetic colors, and no added MSG. Flavors include the popular Classic Cheese, Fiery Hot, Chili Cheese, and Masala. Peatos are currently available in the produce sections at Walmart (in the Northeast), Safeway (NorCal), Kroger and its banner stores including Cala Foods, City Markets, Copps, Dillons, FoodsCo, Fred Meyer Stores, Fry’s, King Soopers, Mariano’s Fresh Market, Metro Market, Pick ‘n Save, QFC, Ralphs, Food 4 Less, and Smith’s, as well as Vons, Pavilions, Albertsons (So Cal), and online on Amazon. Find out more at Facebook.com/worldpeasbrand and on Twitter and Instagram@worldpeaspeatos.